I am not normally one to “plug” products, but this is free and might be of help to people. 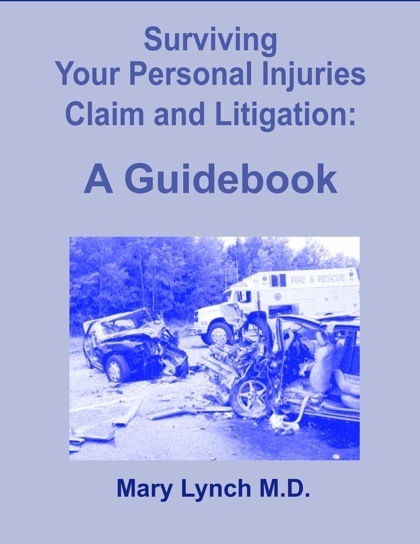 Dr. Mary Lynch, professor at Dalhousie University and director of research at the Pain Management Unit, Queen Elizabeth II Health Sciences Center in Halifax has released a free e-book: Surviving Your Personal Injuries Claim and Litigation: A Guidebook for When Chronic Pain Lands You in Court. Dr. Lynch attempts to offer a step-by-step guide through the injury claim process for chronic pain sufferers. Considering so many accident victims suffer from chronic pain (arguably, any pain that persists for more than six months), I think my clients and potential clients would benefit from having a look. I am not endorsing what she says, but I welcome any attempt to help and inform people in a vulnerable situation. I welcome feedback with your thoughts about the e-book.